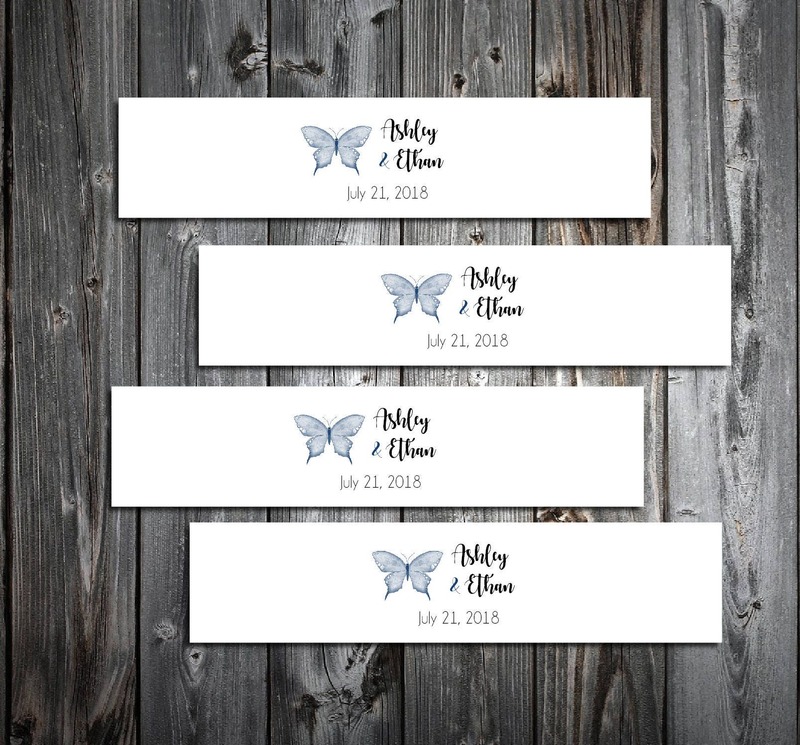 Butterfly Wedding Napkin Cuffs/Wraps ~ only 9.5 cents each! When you receive your napkin cuffs/wraps, they will be ready for you to put on your napkins! Our brides are telling us that they love these better than traditional printed napkins! Napkin Cuffs: Measures 5 1/2" x 1 1/2"". Printed on white or ivory textured stationery. These are not self stick. Use either double sticky tape or a small dab of glue to adhere ends together. Fits most napkins when you put silverware inside the napkin too! Need more or less than 100? Just message me and I can create a custom listing for the amount that you need. These are only 9.5 cents each!